Exciting news for this weekend, 3 June at 12 noon and 3 pm, Golem! 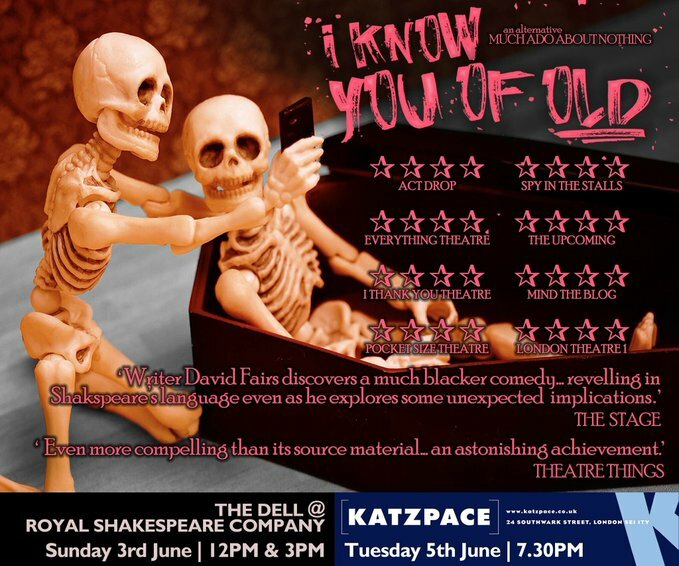 Theatre will be presenting their acclaimed production, I Know of Old, at the Royal Shakespeare Company’s Dell, their outdoor stage in Avonbank Gardens, Stratford-upon-Avon. Admission free! 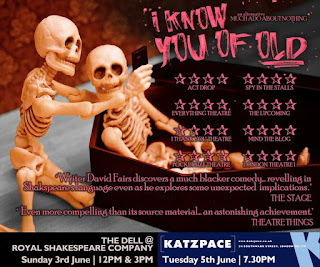 Using only Shakespeare's original text, Golem’s David Fairs re-orchestrates Much Ado About Nothing into a new, alternative dark comedy - a juicy, messy, intimate farce. 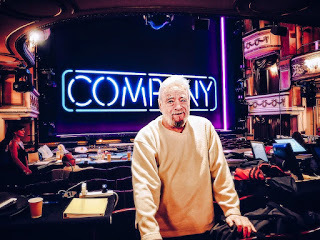 Benedick and Beatrice are legendary, their intense battles of wit hilarious and sparkling - but slice deeper: is there something rotten at the heart of the Merry War? 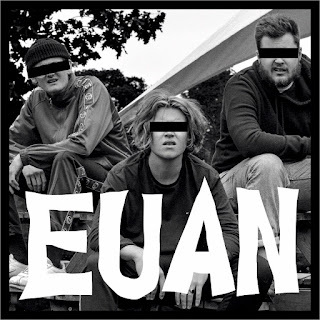 Directed by Anna Marsland (Ballistic at Edinburgh Festival and The King’s Head, Islington) and featuring David Fairs, Conor O’Kane (Offie-nominated for Miss Nightingale) and Zena Carswell (winner of The Origins Award for Outstanding New Work at VAULT festival 2016 for Butter with Lady Junk Theatre). GOLEM! create theatre by repurposing and reimagining texts, shedding new light on stories you might think you already know. 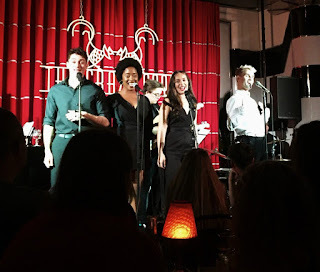 They craft new plays from original sources by experimenting with theatrical architecture, adding music, humour and a splash of David Lynch, to draw out the stories between - as well as within - the lines, making something bold, exciting, and very different.